What can I say it’s an app for reviews which ultimately are varied opinions. Over all this app is great, a quick handy too that allows you to keep an eye on peoples views & gives you the chance to offer your opinion back simple and easily. Keeping track of your company is essential and this app allows you to do the google part with ease & to be honest that’s a 5 star service right there, great app that’s functional & easy to use. The reason I chose to reduce my rating by 1 star is that as a business owner I can understand varied ratings and that some people are hard to please so will never give the 5 stars but the the bit I can’t get my head around Is the malicious people or small minded opposition that feel the need to create 1star reviews to harm your business & get away with it? It’s potentially harmful to a company & often even when reported gets overlooked of simply left - this app needs to be governed more strictly allowing fake reviews to be looked into fully & removed if found fictional or simply placed to harm a company. Overall a good useful app though. Honest customer reviews are very helpful to a business but it has become apparent that anyone, whether they are a genuine customer or not, can post a review or photo to a Google business page and once it’s posted it can’t be removed. As the business owner, you are not able to approve photos and reviews or request that unfair or false reviews and/or phots are removed. You’re only option is to respond to the review. However, you can’t respond to pictures. 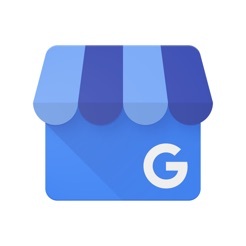 In order to make Google my business better, business owners need to have reassurance that the reviews and photos placed on their business pages are from genuine customers and any that unfair reviews can be challenged and removed where they are proven to be false or inaccurate. Furthermore, reviews are rarely very helpful to anyone unless they include more than just star ratings. Pages of information is not necessary, just one or two bullet points would suffice; perhaps one comment relating to something that was done well and another comment explaining what could be done better. I like having a google business page as it allows my clients to see my work and the positive image I hope to portray of myself, my work and my clients. I provide a premium service that is client orientated and creatively inspired. But! My clients or anyone is allowed to upload ‘any’ pictures of me or anything that I would not approve of to my page that is global!!!! This is harmful to me, my business and my family. As a business I should be allowed to approve or disapprove anything that a stranger can upload to my business page with that person holding copyright! I cannot delete or edit it! This is wrong! This is my business and my livelihood that provides for my family. I should be in control, not the client. I should able to approve who puts what pictures up of me! I want control to remove pictures that aren’t relevant. It’s not the clients responsibility to do that. It’s wrong!